Alley Of Books: Ally Carter in NYC! 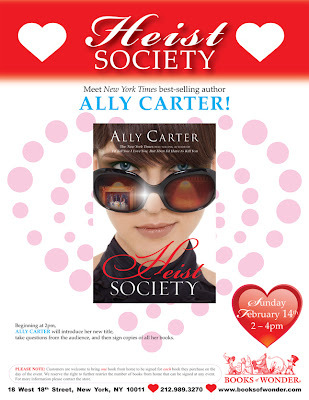 Come see Ally Carter tomorrow February, 14th 2010 at Books of Wonder from 2-4pm! Picture courtesy of Books of Wonder website! I shall be there, will you?! Come say hi if you do go!